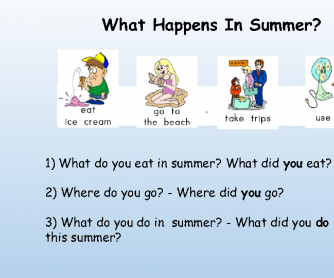 This activity focuses on summer vocabulary, such as verbs, things to do in summer time, and the simple past of summer verbs. 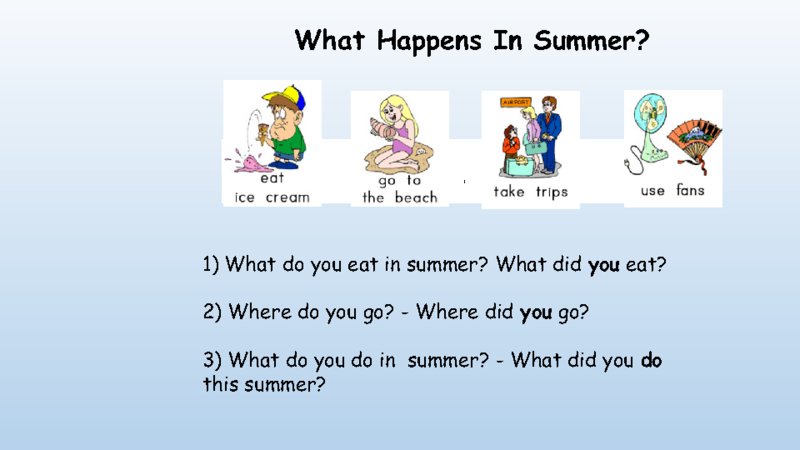 In pairs, students collect and share summer nouns and summer verbs. As a class, students will in the sheet and add their own nouns/verbs. Then students interview one another based on the sheet they filled out and report back to the class.